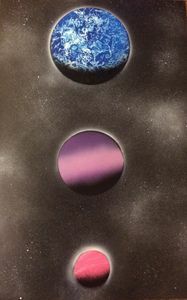 My name's Patrick Damron and I'm a senior in high school who just loves to spray paint, specifically planets. 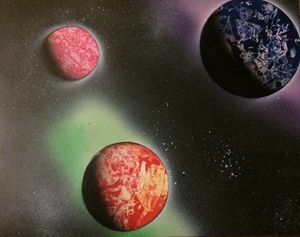 I learned how to use spray paint to create beautiful space scenes last summer and I'm currently taking a college art class to focus and perfect the art of spray painting. 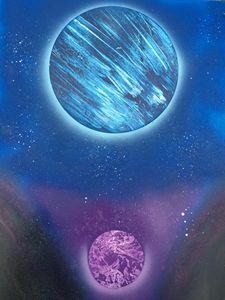 I have my own technique and style when producing these pieces and I put my whole heart and mind into my creations.